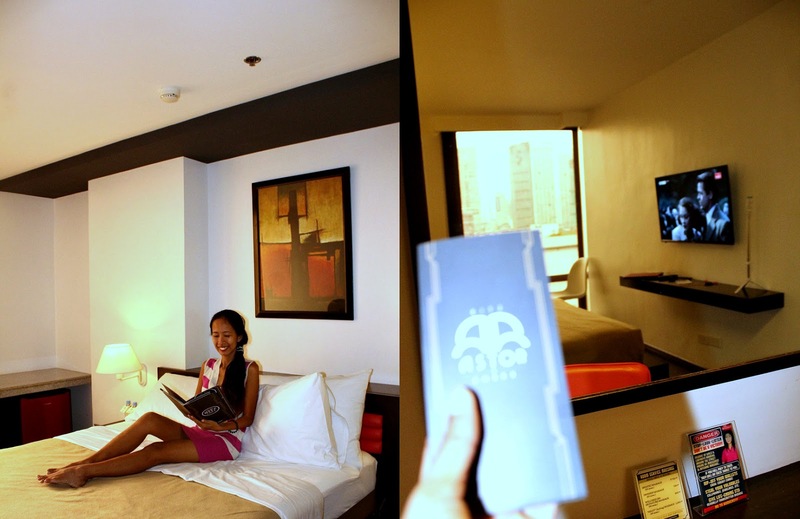 Fresh from our Royal Bellagio overnight stay, we headed to another staycation in Ritz Astor Hotel. You know what, we only need to cross a corner which is just a 5 minute - walk. The best thing about it is that these are sister hotels so the guy from the Royal Bellagio even helped us carry our stuff to Ritz Astor. This means as well we have one more night to spend in Makati's red district. I am beginning to enjoy here actually despite the common sight of bar girls and again, old foreign guys. I mean, I don't want to judge them - it's their life. I would rather stay in a place where there's a crowd and color than in a dark and extremely quiet environment. Unlike Royal Bellagio, Ritz Astor's reception is right at the ground floor. 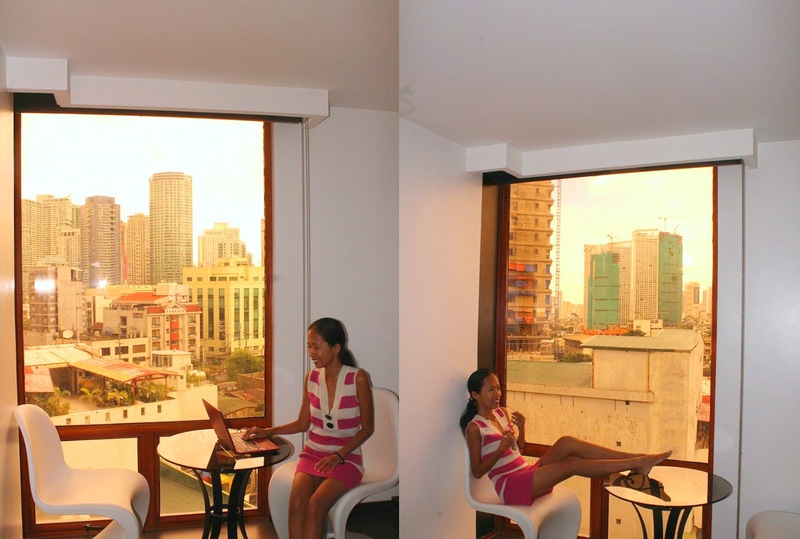 Once you open the glass doors that are as tall as the walls in between, you'll be greeted by a wide space. 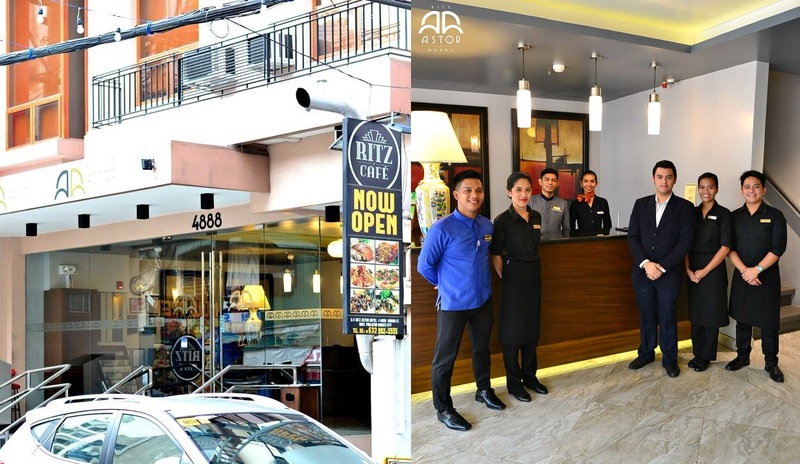 To the left is where the reception is and to the right is an extension of tables plus chairs of Ritz Cafe, the hotel's resident restaurant. Ritz Astor is way, way far from Royal Bellagio. Ritz Astor's space from the lobby to the restaurant and even the elevator are much bigger and the design is somewhat hip and contemporary. Hope you guys, don't mind me keep on comparing these two because they are like what I said are sister hotels so competition per se, doesn't matter. 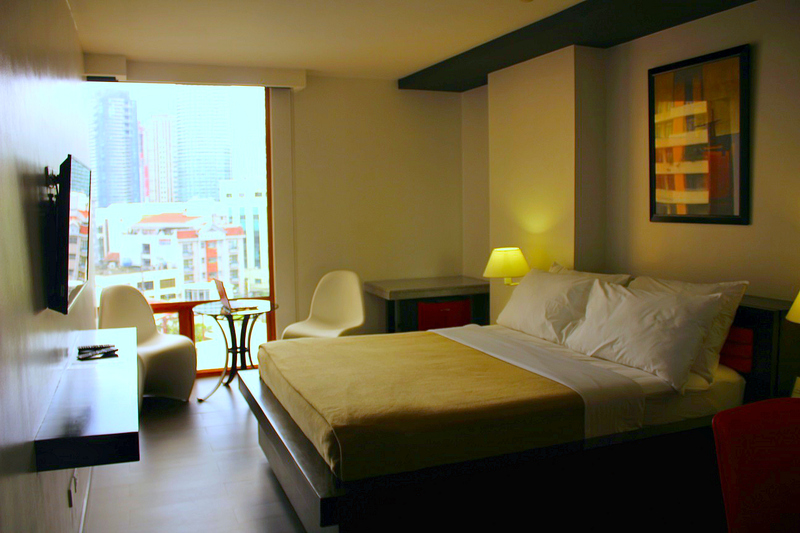 I just want to give you a clear understanding so that the next time you need to find a cheap hotel to stay in Makati, you know what to choose according to your taste. We had no problem checking in. The guy behind the reception quickly assisted us and the next thing we knew, we are already in our room. Our keys were given and the instructions about our hotel room was brief enough as well. We were starstruck the first time we went inside. Our hotel room is hugely opposite from Bellagio. I think this hotel would appeal more to millenials and kids at heart. The color is a combination of red and white. Bellagio has vintage feels because everything is made of wood. The space is much bigger than Bellagio's. If I will be asked to choose to stay again at any of these hotels, I will choose Ritz Astor. It's more wholesome (not that I say Bellagio is not) but you know that first impression you get when you step your foot in the room. It is also Instagrammable - as you see our photos are candid. We didn't have a hard time showing our organic feeling of happiness because we like the place a lot. Here's the catch though. Ritz Astor lacked a few things that we have from Royal Bellagio. There were NO electric heating pot, microwave and kitchen utensils. These are only available by request. This is a big deal to me because I love to drink coffee or tea before going to sleep so I need hot water at the confine of my room always. Also, Ritz Astor doesn't have a small kitchen, mini bar (for sale liquors + something to munch) and bath tub which are all yours when you stay at Royal Bellagio. 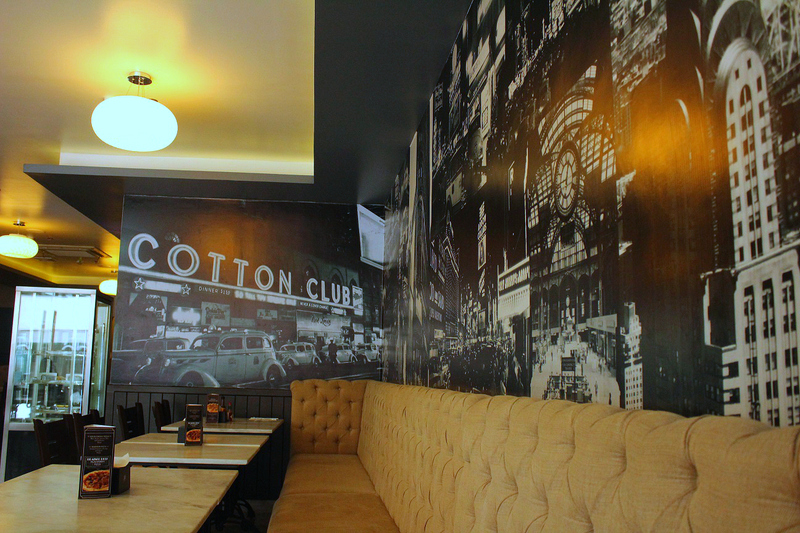 Ritz Cafe lacks glamour and glitz in my opinion in terms of its physical attributions. We regret we didn't have our dinner there, because we strolled that night and ended up eating somewhere. In the morning we made sure we taste the food by eating our free breakfast that came with our room type, Deluxe. We were thinking of the usual Filipino 'silog' variety which is fried rice, fried egg and chicken or pork etc. Here's what I ordered. This is definitely not the usual food we eat at home and not the cheapest kind of that's offered in a hotel for the first meal of the day! I forgot its name sorry but it's made of tuna chunks - one of the tastiest pieces of fish I have ever tasted. Ritz Cafe offers a wide selection of delicious entrées, main courses and desserts. I want to come back to taste their best-sellers such as their original Shrimp Gambas, Baby Back Ribs and Chicken Curry Satay. 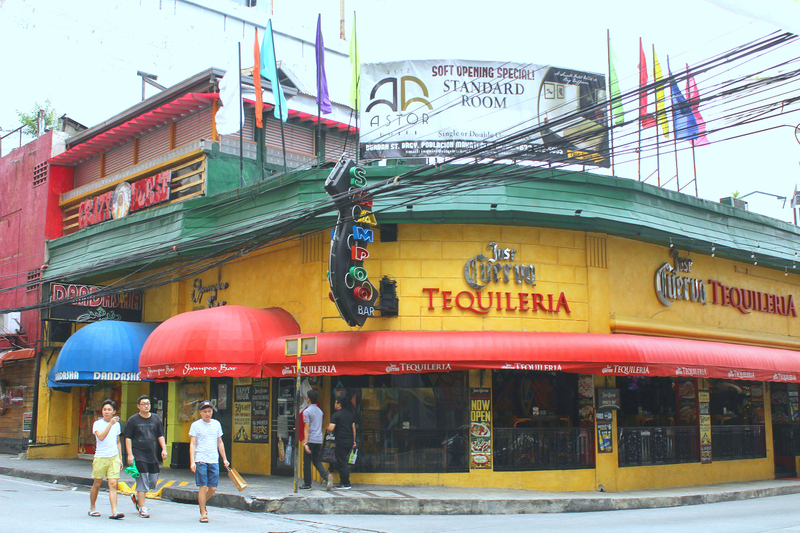 Another choice where to eat in Makati's red' district when you're done with Ritz Cafe is Jose Cuervo Tequileria. This Mexican restaurant is just right across the street, you can literally eat your food here and get back to your hotel room in five minutes. 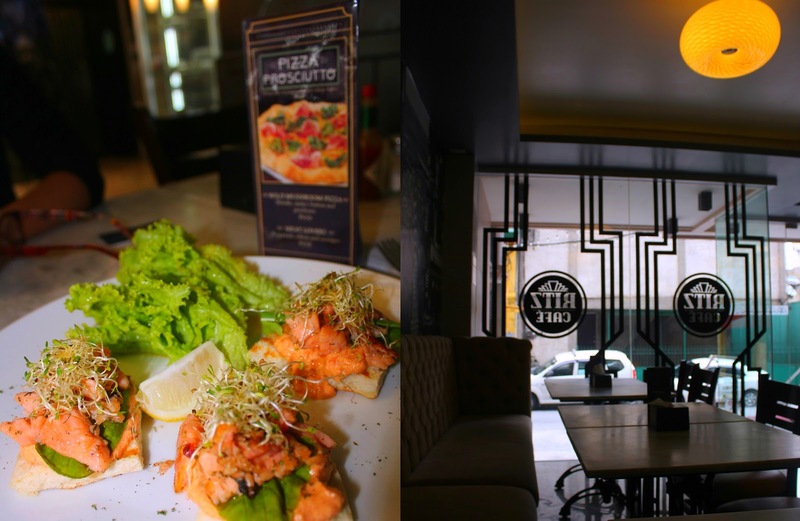 Jose Cuervo Tequileria restaurant serves one of the best-tasting Mexican dishes such as tacos, nachos, enchiladas and tequillas in Makati. If you're up to gulp some alcohol, definitely worth trying are their signature drinks: Red Berry Lemonade, Cowboy Margarita, Blood & Snow, Tropical and Late Nite. Overall, I love our stay at Ritz Astor Hotel. I will definitely stay again here for sure. 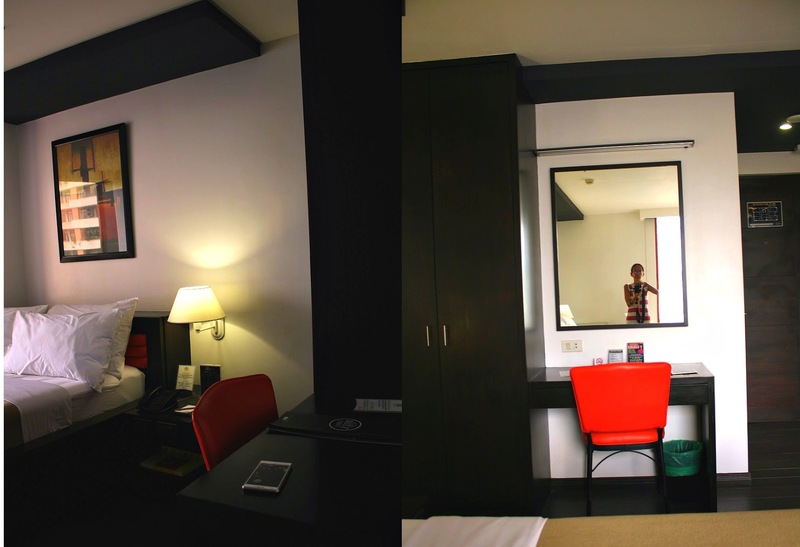 By saying I recommend this hotel to anyone looking for a place to stay in Makati, I also mean go give this red district a chance. It's the tamer but more fun place in Makati to see flashing neon lights, drink coffee at quaint coffee shops and eat at so many hole-in-the-wall restaurants.